Paikea was the grandfather of Tahupōtiki, the founding ancestor of Ngāi Tahu. 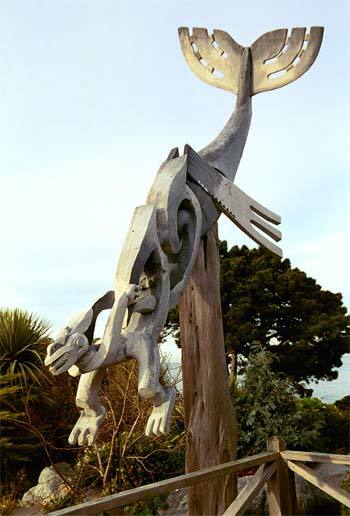 An important ancestor to both Ngāi Tahu and Ngāti Konohi of Whāngārā, Paikea is depicted on Ngāi Tahu marae. This carving at Takahanga marae, Kaikōura is by Cliff Whiting. It depicts Paikea journeying to New Zealand on the back of a whale.